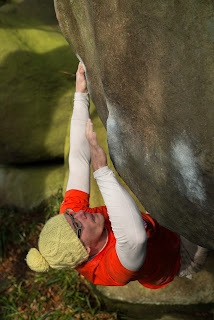 Since the start of the year I've really been enjoying going out and doing a lot of bouldering. Mainly because it has been a bit too cold at times for routes, but its also great fun showing friends around areas they've never been and just doing a bunch of new stuff. I've had a few sweet sessions at Rowtor with the crew, ticking things like Jon Fullwood's, My Apple and Domes Sitter, which has the most awesome sequence of burly roof techinical-ness. 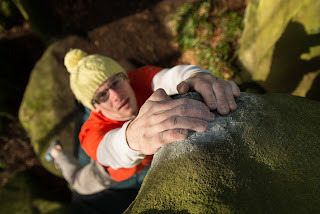 Grit bouldering at its best I'd say. Real big thanks to Jon Clark for the shots, this lad knows his stuff. I'm also full on psyched for training at the minute too, and spending a lot of time down the wall and hanging off the board at home. Trying to get strong for our upcoming trips abroad! Time is flying by like crazy and it won't be long before we're packing our bags again and jetting off. 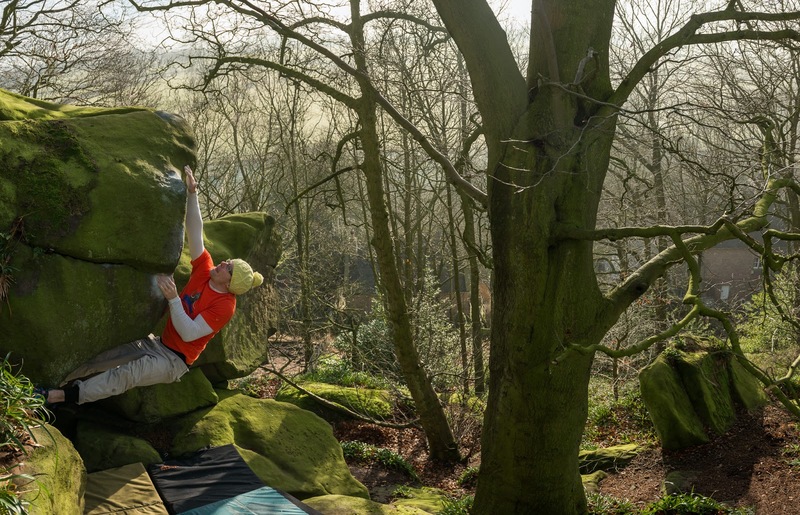 Don't forget to pop down The Foundry this Saturday for a series of Mammut Masterclasses and cash prize routes! Come find us and say hello!